The campaign introduces the tagline "Attacking from every angle"
The American Cancer Society has launched its first brand campaign since 2015 with stark, earnest and personal ads aimed at differentiating the organization from other cancer charities. In January, the organization selected The Richards Group as its agency of record following a review launched late last year. In November 2015, American Cancer Society hired longtime Coca-Cola veteran Sharon Byers as its chief development and marketing officer and subsequently went on an advertising hiatus following the“Advantage Human” campaign former agency of record DDB Chicago. After winning the assignment, the American Cancer Society and The Richards Group worked hard on establishing a strategy to help differentiate the organization. Following consumer research and brand positioning, the agency worked on creative development over the summer for its first brand campaign, which debuts today. It follows an effort with American Cancer Society national golf ambassador Chris DiMarco this summer. 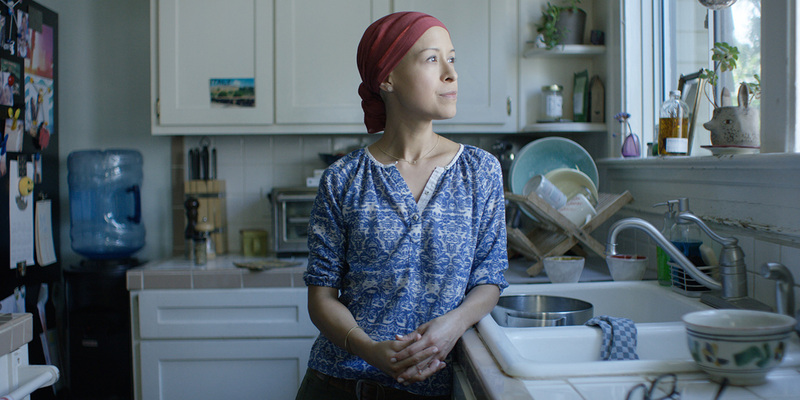 The campaign includes three spots featuring current and former cancer patients speaking directly to the camera, explaining how American Cancer Society’s services helped them in their fight against cancer, as well as one from the perspective of an American Cancer Society helpline representative, underscoring the importance of the 24-hour service. While the emotional nature of the ads isn’t far from DDB Chicago’s previous campaign, the focus on American Cancer Society’s services beyond research marks a departure. Each ad concludes, of course, with a call for donation. Irma Goyal Shrivastava, the American Cancer Society’s svp of strategic marketing and alliances, says the campaign was based around the insight that consumers are aware of the organization’s extensive research but less aware of services it provides to cancer patients, such as transportation to treatment and providing lodging nearby. “We’re the only organization who does a lot of these things, but we haven’t really been putting the message out there in a simple, easy-to-digest way,” she said. The campaign spans broadcast and digital and also includes a radio component, which features both radio spots and partnerships with John Tesh and Delilah. It has already made an impact on those within the organization, one of whom reacted to it by telling Shrivastava they have “never been more proud in 20 years” to be part of the organization.